Our partnership with the country’s biggest hotel operator is boosting the ongoing restoration of some of Australia’s most significant landscapes and helping thousands of hotel guests to make a difference. Reef Aid – Accor is supporting our work to improve the health of the Great Barrier Reef by rebuilding eroding gullies and restoring coastal wetlands. Funds are used to plant trees to restore priority wetlands to help reduce the impact of fine sediment and nutrients on the fragile Reef. Peel Biolink WA – The South West region of Western Australia is identified as one of the world’s 34 biodiversity hotspots, internationally recognised for the richness and diversity of the area’s native flora and fauna. Habitat 141 – Habitat 141 is a fifty year project to restore and reconnect the iconic landscapes along the 141º longitude. This biodiversity hotspot stretches from the wild coast of South Australia, along the Victorian border, and up to the rugged rangelands of New South Wales. 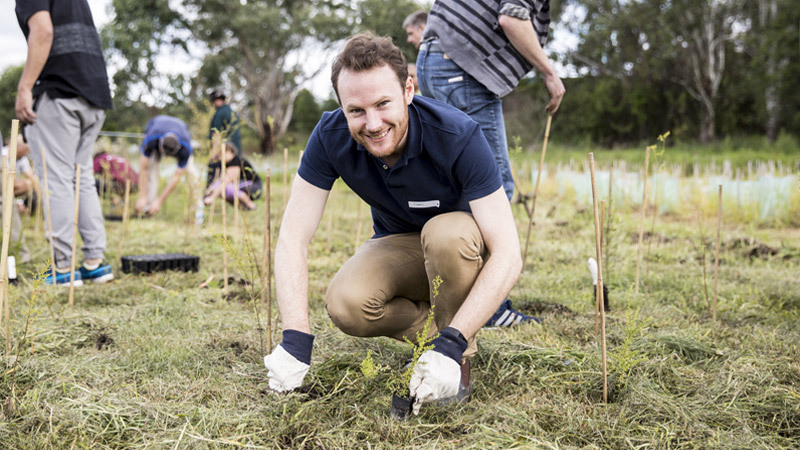 As well as providing a significant boost to our on ground restoration work, Accor actively promotes the program and its benefits to hotel guests around Australia. Our research and experience has shown that just about everyone wants to help, but getting involved is the difficult bit. Through the simple gesture of choosing to reuse their towels, Accor guests contribute to landscape-scale projects that make a real difference to their environment. Their contribution is amplified by the efforts of thousands of other guests, with a small contribution collectively making a huge difference. In this way Accor has a significant impact on the health of our most unique and irreplaceable landscapes such as the Great Barrier Reef. We have taken our commitment to hotel sustainability to another level through our partnership with Greening Australia. Giving something back to restore and maintain our precious natural habitats situated near our hotel communities is crucial, particularly as we continue to expand our network.